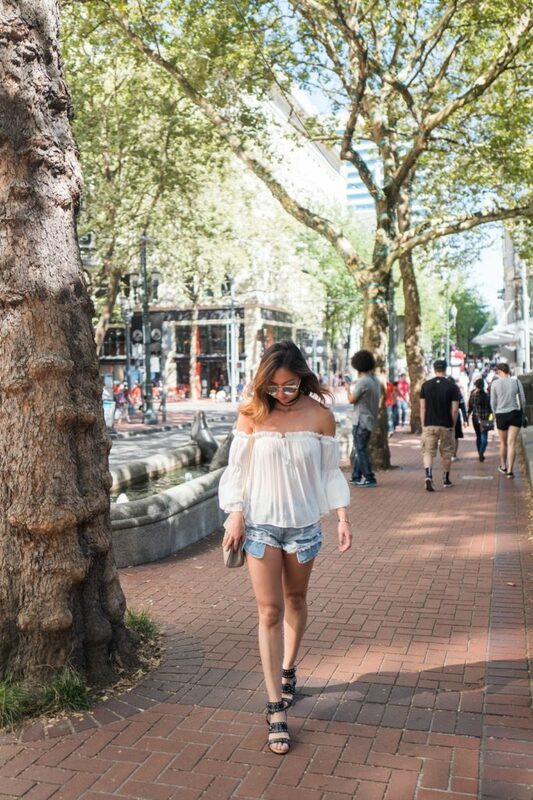 I’ve been traveling more often to Portland, Oregon these days and don’t mind it at all due to the city’s perfect summer, delicious food, and tax-free shopping. During this short weekend getaway I stayed at the Nines luxury hotel which was conveniently located downtown around great restaurants, shopping and bars. I highly recommend staying here especially if you appreciate design and fashion since the interior was also top notch. 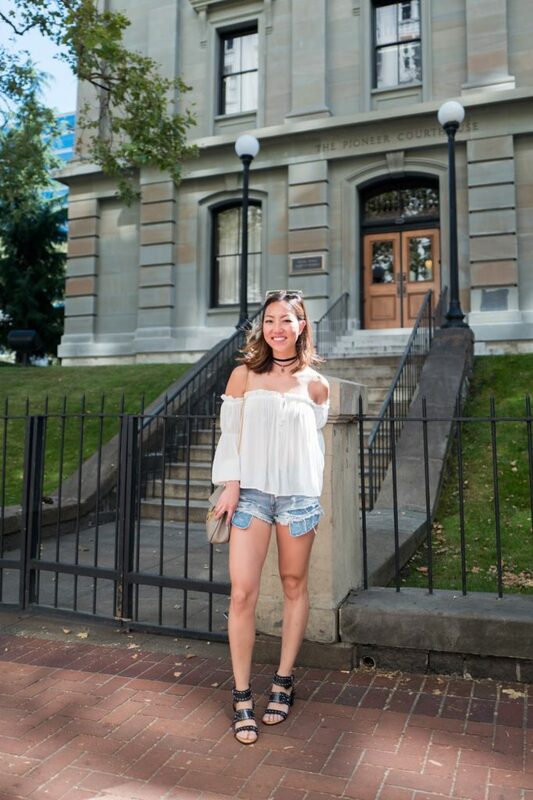 To take advantage of the hot weather I wore my favorite denim shorts and an off the shoulder top with an elastic shoulder band which was perfect for strolling the streets in. It’s rare to dress like this in San Francisco since our summers don’t feel like summer, so going out like this was game changing. Gorgeous! That top is so beautiful.